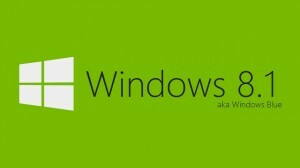 Microsoft’s latest operating system Windows 8 is receiving an update known simply as Windows 8.1. The update will be available for MSDN, TechNet customers and the general public on October 18th. OEM partners of Microsoft have received the final release already and will start shipping products with Windows 8.1 installed by the end of September. Windows 8.1 is not a “Service Pack” update that we have become accustomed to with earlier versions of Windows. Previous “Service Packs” were a compilation of fixes and patches available for the OS and rarely included major operating system changes. Windows 8.1 will fore go this concept and actually add substantial updates to the operating system itself. The new rapid release cycle that Microsoft is working with will trade the old release model for whole operating system updates similar to how Apple currently handles their updates to OSX. Windows 8.1 will be provided free from Microsoft and the official release will come via the Windows Store App within Windows 8. The Start Button is BACK! Clicking it will bring up the Start Screen however, not the Start Menu from previous versions of Windows. The Start Screen and Modern apps will work better on smaller displays (think 8 inch tablets) and more pixel dense large monitors. The Start Screen can be more heavily modified with background images and different tile sizes. Snap Views will support more than two apps and feature variable re-sizing. Searching across local and network storage has been greatly improved. Searches will also include online results from Bing. The Windows Store has been redone to make it easier to find useful apps and manage them more easily. Internet Explorer 11 will ship with the final release and see many improvements over the current IE10. Several updates to the Bring Your Own Device (BYOD) feature. Including NFC pairing and native Miracast support. Improved security measures including Remote Business Data Removal, improvements to Windows Defender and Device Lockdown. First Network Group, Inc has been hard at work preparing for this update. Our technicians are ready on Day 1 for the first customer who needs help.If you aren’t already taking advantage of our 24×7 End User Technical Support Center contact Cory Lykins, VP of Tech Services at 1-800-578-6381, opt. 6, for more information.